With our many years of experience creating engaging websites that deliver value for our clients, we at Seadev can confirm that SEO remains one of the 10 must-have qualities to make yours a website that receives organic traffic, and, just as importantly, converts visitors to reach your goals. So, should you plan for SEO before or after website launch? Effective SEO results from incorporating its planning into your website’s earliest development phases. And just like the maintenance of your health and the pursuit of education, SEO is not a one-time activity, but an ongoing endeavor. It will take time for your website to bear the fruit of a SEO-friendly redesign. That’s why it’s essential to partner with a digital agency who are masters in SEO techniques. If you’ve ever browsed articles on how to reach the top of Google’s search engine rankings, you may have read that tweaking your website’s HTML titles and meta tags can make a difference. 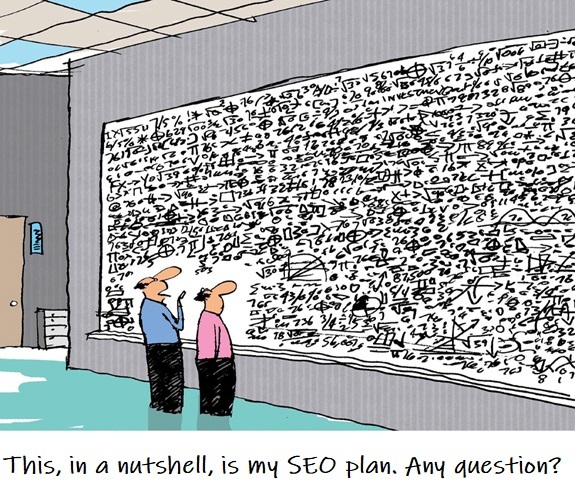 However, effective SEO is much more complex. Applying quality SEO redesign to your website after it’s already been live is never an ideal approach, as it can result in dramatic changes to your site’s navigation system, content guidelines, and even necessitate the restructuring of entire web applications. You wouldn’t want the strategic effort you put into your web design to be lost in order to accommodate SEO modifications. That’s one of the reasons why integrating SEO planning from the beginning is so vital. SEO redesign is like breaking up the walls of your house for repiping. Forcing keywords into a preexisting website can cause your content to look unnatural, standing out just as badly as mismatched paint after a wall repair. A new website requires the investment of important time and business resources. Why undermine your web development investments with hasty planning? Synthesizing SEO into your website’s plan from the get-go with a comprehensive seo consultancy package will ensure a much higher ROI for your business. That’s why working with a web development agency with in-house SEO services instead of a standalone seo agent will save you time and money in the long run. Search engine optimization is about far more than your website’s appearance. There are hundreds of technical factors involved just to ensure your website is optimally indexed by Google. From your site’s structure, URL formation rules, link attributes, the redirections between your pages, and more, no one can understand your website as well as its developers. Empowering them integrate SEO fundamentals into your site from its nascent stages will set the stage for future success. Web Developers know your website best. 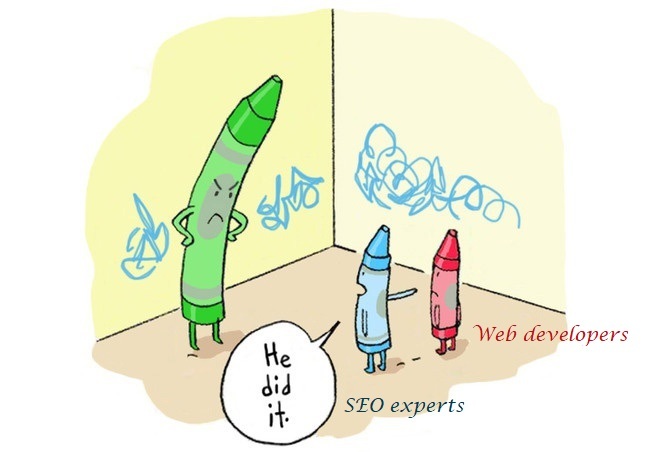 Therefore they’re the best for carrying out your SEO optimizations. While there are powerful SEO tools available, you cannot just install a plugin and expect traffic to pour in the very next day. No matter what type of optimization you’re working on, whether it be overhauling your HTML tags or creating engaging content based on keyword research, the results won’t arrive overnight. Moreover, for your SEO performance to be observable, it’s essential that you enable benchmarking tools such as Google Analytics and Google Webmaster as early as possible. The sooner you begin fine-tuning your website for search, the earlier and more noticeably you will see, and be able to take action on the results. In 8 out of 10 cases when a new client seek our help in overhauling their pre-existing website and SEO, it’s because they’re experiencing low traffic and conversions. Our team at Seadev are more than SEO specialists for new websites, we’re also turnaround experts for third party websites. We can help you to improve your current site, but if you’re planning to launch a new site, wouldn’t you prefer to work with a digital agency who can ensure your site hits the ground running from day 1? Before any SEO efforts, your website can rank at an acceptable level on Google for a certain set of keywords. At the time you start to invest into SEO, it’s very likely your website performance will go up. However, you may lose your early ranking keywords due to changes made to your website meta data and structure. 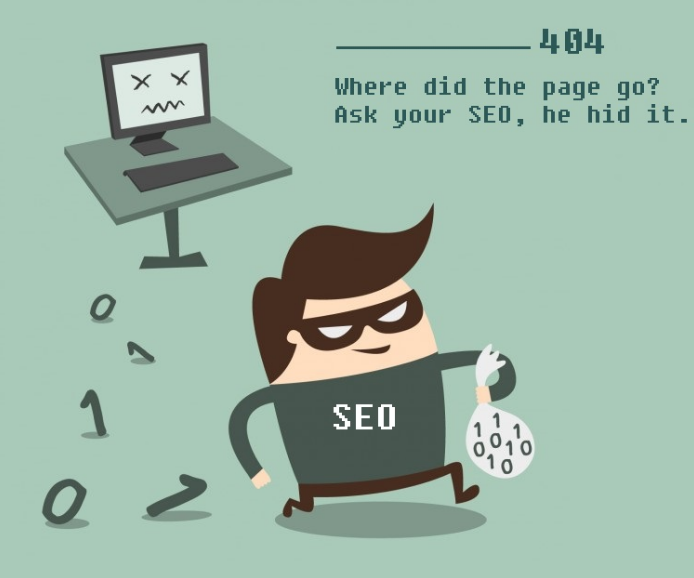 If this is the case, we suggest you do thorough research and determine what SEO assets you’ve already obtained. Anyway, it’s still best to have all assets mounted right from the beginning so you don’t need to remove any for the sake of optimization. If SEO is carried out on an existing website, it may not reach its full potential. The website’s existing site structure and its URLs may not be flexible enough to accommodate the targeted keywords you need for your SEO. Forcing keywords into these areas can result in fatal 404 errors that will interrupt your sales revenue. However when SEO is integrated into a site’s structure and URLs from the beginning, these issues don’t exist. At Seadev, whether we’re building your new site from scratch, or revamping your pre-existing site, we’ll harmonize your website’s design with Search Engine Optimization to maximize your visitors and goal conversions. We’re on the cutting edge of new SEO trends and techniques as well as those which are fading. The website we’ll create for you will always be fine-tuned for SEO to maximize your opportunities to reach your audience in the modern digital marketplace. Your website deserves the best headstart possible. Contact us for a proposal. Managed Website Services - What’s Included? Your website and online presense deserve the best headstart possible.